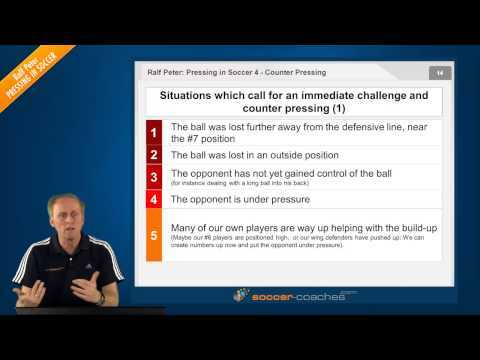 Introduction of "Pressing in Soccer"
Defending is not only the responsibility of defenders in today’s modern game. When losing possession of the ball, the entire team should get behind the ball and try to win it back. Therefore, attacking players share defensive responsibilities. These responsibilities depend on the team’s own system of play, the coach’s philosophy and the types of players available. 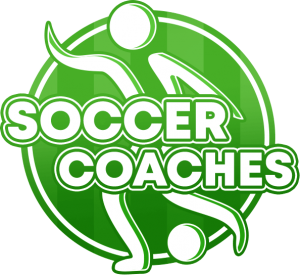 There are top strikers that will not share defensive responsibilities based on their own will or based on a coach’s philosophy. There is something to consider: A top striker that guarantees 20-30 goals per season might lose his effectiveness if he has too many defensive responsibilities. It does not mean that he has no defensive responsibilities. However, it is certainly more intense for a lone striker to defend than two strikers. 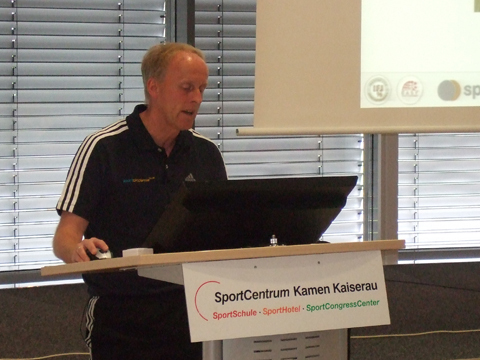 As stated before, the team’s own system of play and the team’s strategy must be considered as well. A system of play can work in favour of certain players or actually make their life harder at times. The opponent’s system of play is also of high importance in a game. How high should a team defend? Where should a team try to win the ball? Should a team show opponents inside or outside? The displayed tactical behaviours have an impact on the entire „defensive strategy“. However, the system of play is always influenced by players, their individual characteristics as well as their strengths and weaknesses. The opponent’s system of play is equally important. In which areas are opponents compact? How do players fill out their respective roles? These are deciding factors with regards to defensive strategies. 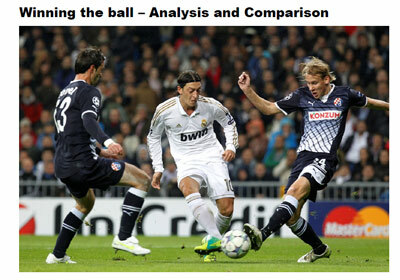 Analysis of different types of playing in relation to the ball from a team tactical perspective. The first question is: What is the preferred strategy of a team when defending. Should the team defend to actively win the ball or should the team be patient to wait for mistakes of the opposing team? This is a coach’s decision. This is all about actively winning the ball. 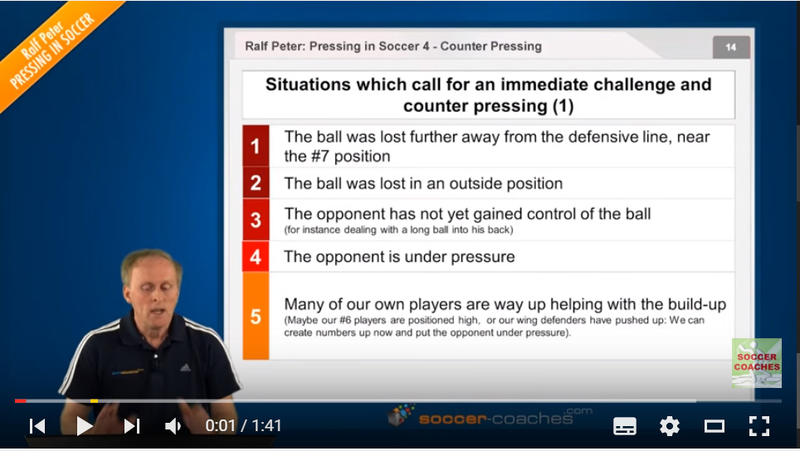 The most common type of defending is Pressing. 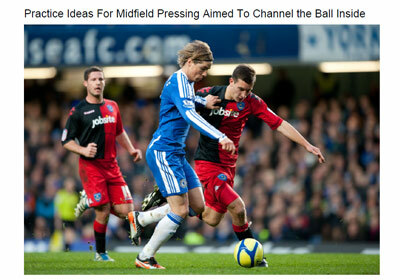 In my opinion, this is all about defending actively to win the ball back. This ball-winning strategy relies on creating many 2v1 situations. A team should be looking into doubling-up on opponents in this instance. Where does it happen on the field? 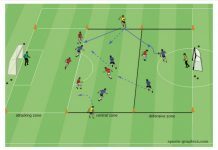 Where is the ideal area to win the ball back? How should Pressing be applied? The field can be divided into three zones. If Pressing is applied in the opponent’s half or close to the opponent’s goal, it is called High-Pressure or Forechecking. This is a hockey term where player apply pressure in the attacking third. If a team drops into its own half to defend, this is called Low-Pressure. 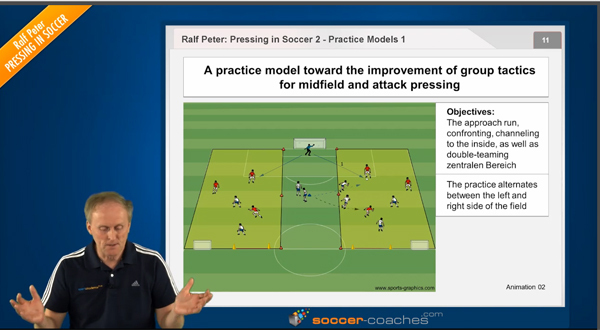 The most common type of Pressing is Midfield Pressing. Pressing is applied in the area of 15m distance from halfway line in both the opponent’s half and the team’s own half.